Leaving the thrall of Hong Kong behind (and not even by boat! ), I’ll be moving up into Dalian and the Liaodong peninsula for the next several days. Not being a wealthy Chinese investor with a Hummer in Changchun, there’s no way I can make it to distant Rason, but I will certainly be spending some good time checking things out in Dandong and near the border trade zone which the North Koreans and the Chinese cadre announced this past week. Thus, it’s more than appropriate to pose a framework kind of question that is going to drive my own research this week: Is the Chinese Model Taking Hold in North Korea? Here, for your delectation, is some background reading and analysis. I. On the Yalu Island Trade Zones: 黄金坪, etc. This story is now all over the news wires, but if you need a good basic primer on the subject, I recommend this piece from the Chosun Ilbo or the following article from a Korean reporter working for Al Jazeera. Barbara Demick, the Beijing bureau chief for the Los Angeles Times, wrote a perceptive piece on the subject from her office which is also well worth reading by way of introduction. I would respectfully disagree with Demick that the Chinese were low-key about these developments. Sure, the CCP could have gone double-barrel with its propaganda (there’s no mistaking when they do that — witness the orgiastic self-regard and millions of yuan spent on the Party’s 90th birthday coming up), but with Huanqiu Shibao headlines that describe the Yalu River developments as having the potential to become the “Hong Kong of DPRK”, it doesn’t strike me that the Chinese are in some way trying to hide what they’re doing. On the other hand, if I’m banned from looking around the islands this week, then maybe they are trying to hide something. I will keep this space posted as possible. In North Korean media, KCNA is also bullish on the project, describing how the Sinuiju economic zone has been enlarged in a northeastern direction to include Uiju. Joshua Stanton seems to have a lock on the analysis of how much of this area will be surrounded by barbed wire on the Korean side, so I will leave that to him. South Korea and Japan, both of whom are much more freaked about about Rason –why is this emphasis significant? The Chinese party and government are greatly contributing to rejecting high-handedness and dominationism and ensuring world peace and stability by pursuing a foreign policy sovereign and independent, under the banner of peace, development and cooperation. There have been a few signs of disagreement. For instance, KCNA plainly notes that is was “basically agreed to develop Hwanggumphyong by the joint efforts of the DPRK and China” Basically agreed? Chosun Ilbo is way to the right of the Wall Street Journal (a paper which, to correct Aidan Foster-Carter in his brilliant essay on Kim Jong Il in China, is still to the left of Attila the Hun), and it loves to traffic in evil-communists-conspiring-behind-evil-doors kind of stories, but here it seems their assertion is correct: the ceremony for the island joint opening was likely delayed due to disagreements. 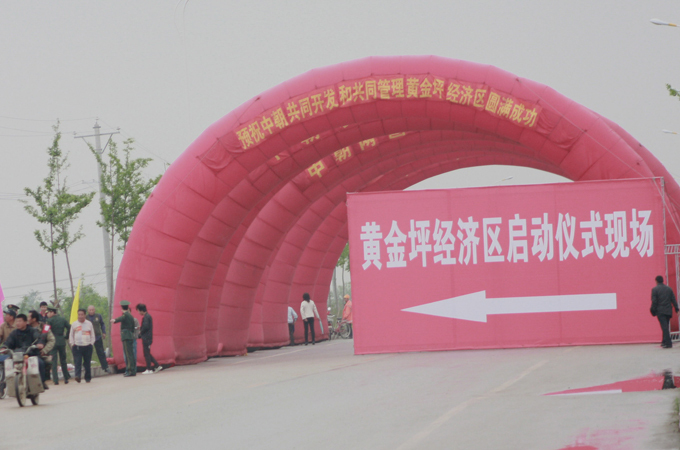 A lot of groundwork for this was done at the “14th Pyongyang Int’l Trade Fair,” which functioned as a networking gathering for more than 100 Sino-North Korean trade (贸易) officials [ http://kp.china-embassy.org/chn/zcgx/jmhz/t823934.htm ]. And as I’ll point out in a later post, the Chinese are fairly realistic about the limitations they are up against. In holding up the positive example of a single Sino-North Korean joint venture, a bicycle manufacturer with offices in based in Tianjin, the Chinese Embassy in Pyongyang admits that Chinese companies can’t even advertise in North Korea and end up giving away large percentages of their product. The only logical place to start with this story, short of crossing the border at Hunchun, is to read Curtis Melvin’s excellent compilation of developing memes. A few days ago, in hyping up interest in extreme northeast of the Korean peninsula in the port of Rajin/Sonbong (known as Rason) the Chinese Global Times tweeted “First China to N. Korea self-drive tour begins” [ http://bit.ly/mFe2Tf ], a fascinating story which had first appeared the day before on page 3 of the Huanqiu Shibao. Chinese television coverage of this story in Changchun and the Rason border zone can be seen here. Huanqiu had been doing propaganda preparation for this move since at least last October, if not before. A (to my mind) rather significant story from last December in the Chinese Huanqiu Shibao in which a Chinese reporter goes to Rason and characterizes the situation for Chinese capitalists is translated/summarized in English. Chinese BBS boards are hardly unanimous in their support for the efforts. If anything, Beijing has been somewhat tone deaf to international criticism of its economic cooperation with North Korea. Beijing’s moves in North Korean border zones have a bit of the pedagogical/patriarchal whiff, spiced w extraterritoriality, as in these 2008 photos of the “Harmony Cup,” Chinese diplomats golfing in Pyongyang. The global image of PRC capitalists tied to the CCP isn’t currently particularly savory, and the North Koreans don’t have much love lost. As Harper’s and The Economist picked up on in an essay I wrote back in 2009, there is quite a strong foundation for anti-Chinese sentiment in North Korea in the Works of the DPRK’s founding god, Kim Il Song. which was followed by this significant analysis in KCNA about Chinese investment in Rason. In discussing all of this action on Saturday with a colleague in Hong Kong who has spent two decades as a correspondent in China; he conveyed to me what he was hearing from all of his diplomat connections Beijing: “The North Koreans despise the Chinese,” he confirmed. The keynote on security is emphasized in more subtly, historical ways. Why else would the Huanqiu Shibao release a compilations of photos surrounding the explosive 1948 accusations of espionage against the top American diplomat in Shengyang, Angus Ward? Big handedness @ dominationism. Those Kim Jong II Hangul-English dictionaries are truly wonderful inventions. Reminds me of Johnny Casper in the Coen’s Millers Crossing being given the high hat. Hope you’re not practicing high hatedness, Adam. I must be very slow in just realising that the Huanqiu Shiabao is the China Daily which I quote from now and then. 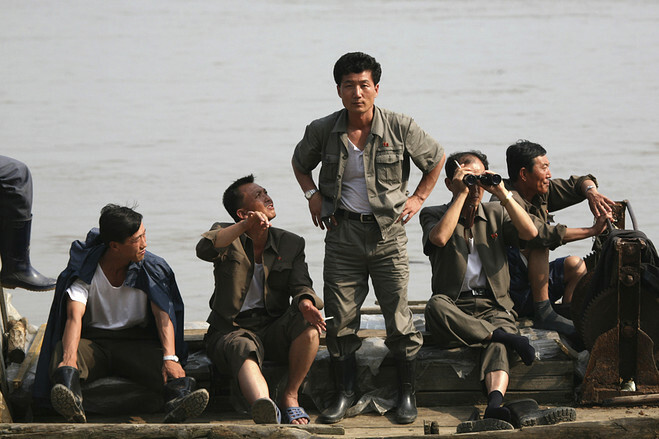 “The North Koreans despise the Chinese,”….that I believe. So do the South Koreans. Crikey, did my politically correct self cringe when Sth Koreans gave me their opinions of Chinese people after a soju. Personal hygiene came first, closed followed by PRCs imperialist ambitions. Now I realise all the folk in Asia hate each others guts for one reason or another. As to Huanqiu Shibao, it isn’t the same as China Daily, tho they are all I would assume arms of the Propaganda Ministry.